Life in the slum. 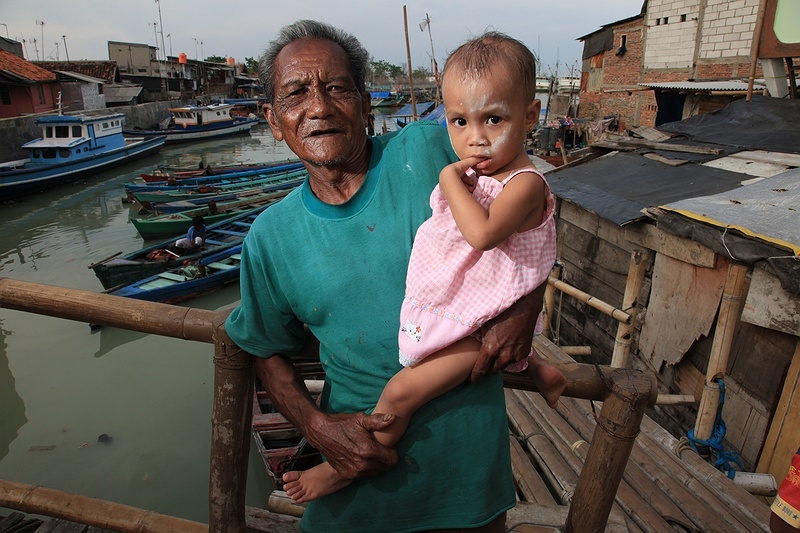 An old man and his grand daughter stand on one of the bridges over a sewage canal joining the slum together. Some of the poorest and most densely populated areas of the city are around the north where extensive networks of slums house economic migrants from all over the country. They come to settle in the capital in the hope of a better quality of life and to find employment. It is these communities that will be hit the hardest by climate change as their homes are mostly built into the sea.